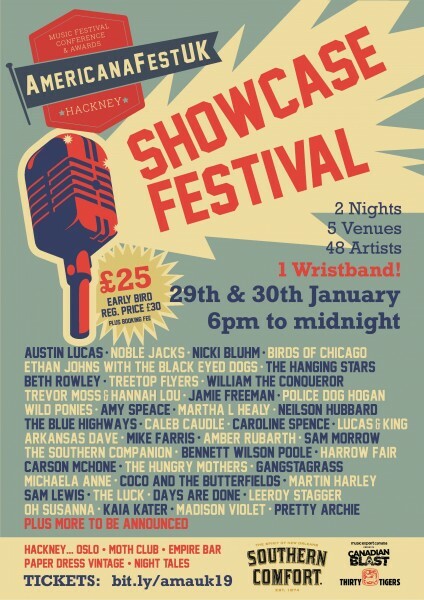 Over two nights there will be forty eight artists from across the UK, USA and Canada showcasing. 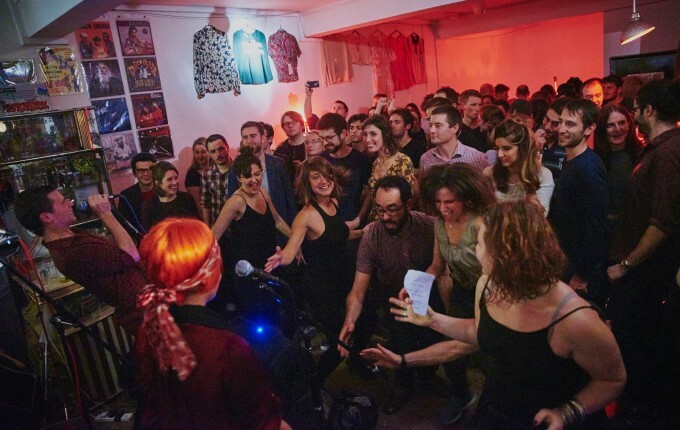 You just need one wristband to gain entry to all five venues over two nights. 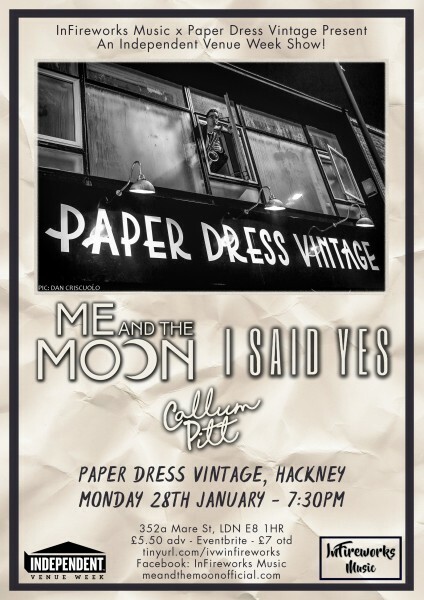 InFireworks Music proudly present an Independent Venue Week show at Paper Dress Vintage in Hackney. 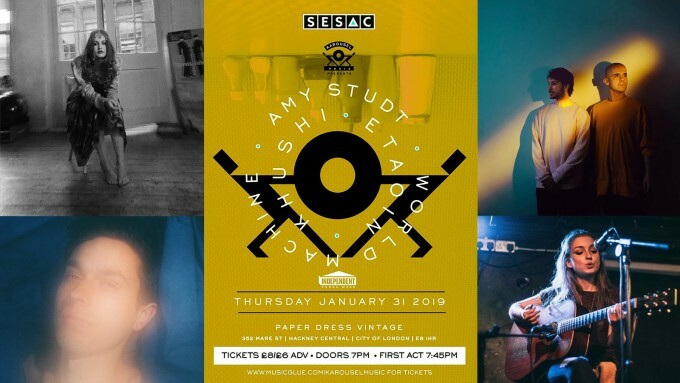 IFM have loved Paper Dress for a while now and it’s a thrill to be going back in such an important week in Live Music. We’ve always tried to champion Independent new music and we’ll be doing so with three amazing acts. RSVP and limted advance tickets available here!